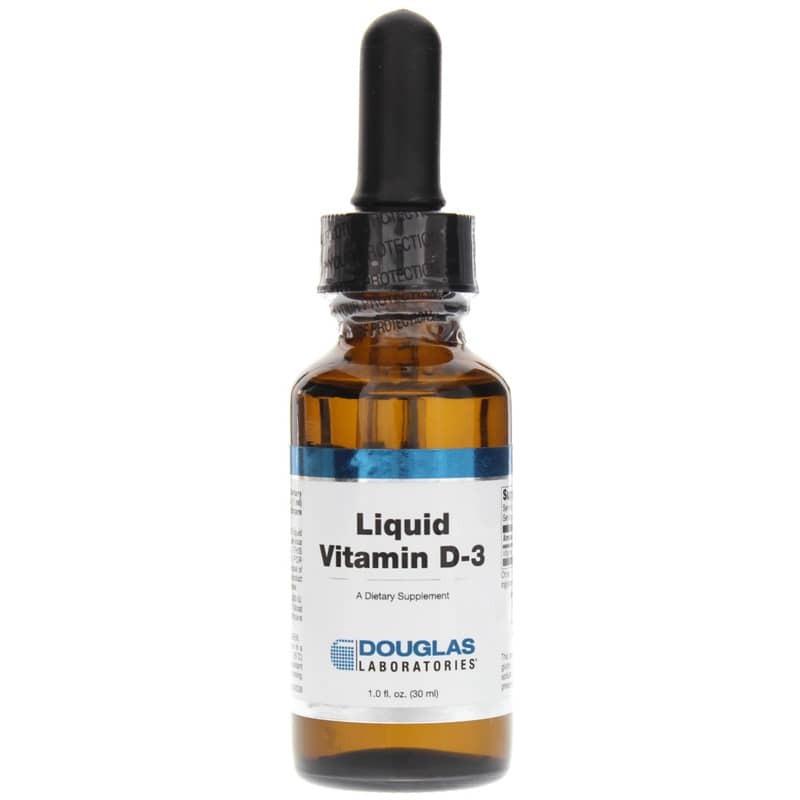 When a high potency vitamin D supplement is recommended, Liquid Vitamin D-3 by Douglas Labs may be the right choice. Liquid Vitamin-D3 supplies 10,000 IU of natural Vitamin D3 per serving. Vitamin D, also known as the "sunshine vitamin" is an essential vitamin that plays many important roles in the proper functioning of the body. Though classified as a vitamin, Vitamin D is actually a key regulatory hormone for calcium and bone metabolism. Adequate vitamin D status is essential for ensuring normal calcium absorption and maintenance of healthy calcium plasma levels. Vitamin D 10,000 IU may be a useful dietary supplement for those individuals wishing to support bone health or whose requirements for vitamin D cannot be met by lower potency products. 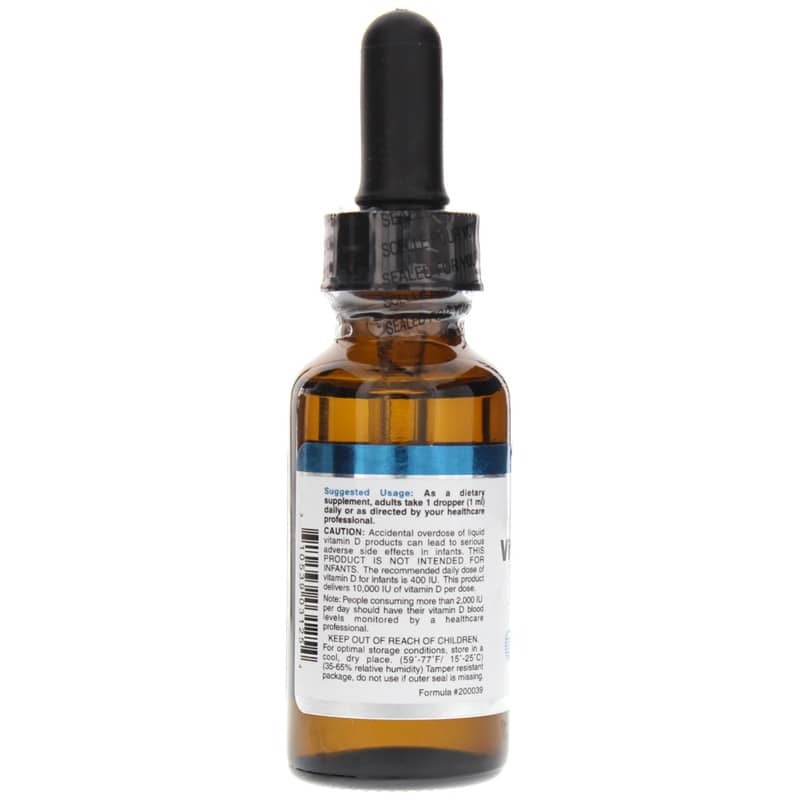 For a high potency liquid vitamin D3, order today! Adults: As a dietary supplement, adults take 1 dropper (1 ml) daily or as recommended by a healthcare professional. Accidental overdose of liquid vitamin D products can lead to serious adverse side effects in infants. THIS PRODUCT IS NOT INTENDED FOR INFANTS. The recommended daily dose for infants is 400 IU. This product contains 10,000 IU per dose. Note: People consuming more than 2,000 IU per day should have their vitamin D blood levels monitored by a healthcare professional. Keep out of the reach of children. My naturopath recommended a liquid D3. Douglas is a great brand.